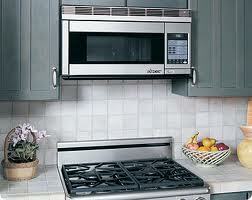 The Microwave is one of the most frequently used kitchen appliances. Once seen as a luxury, they are now an expected feature in most kitchens. The selection and location of the microwave will be closely tied to how you use the appliance, and the locations of other appliances in the space. 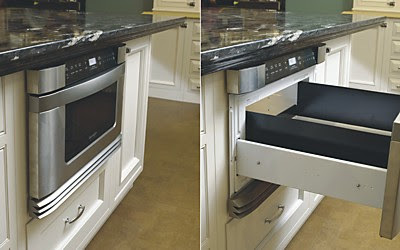 This is one of the most common solutions for microwave placement. 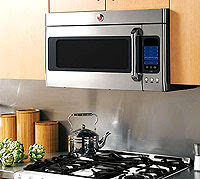 The appliance doubles as the ventilation for your cooktop, either venting outside or with a charcoal filter. 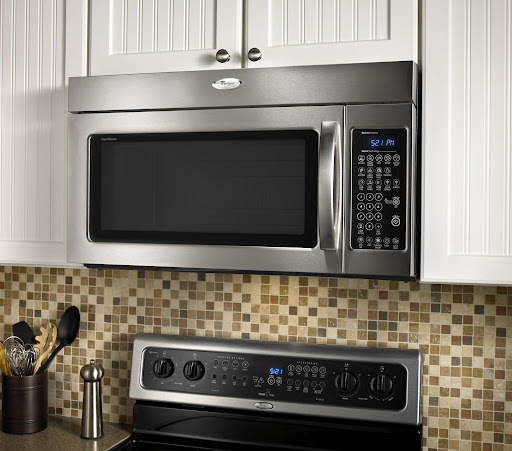 These microwaves are available in convection or regular, and are generally only available in 30″wide models. Not appropriate if your cooktop is 24″, 36″ or 48″ wide. 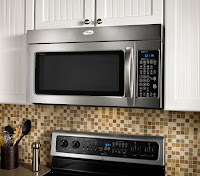 space between the bottom of the microwave and the cooktop should no more than 18″. If you are considering mounting it higher, it may be worth discussing other locations for the microwave, as visually, they look best when lined up with the adjacent cabinets. 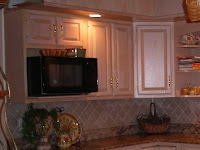 This is still a common style of Microwave, and when placed strategically, can blend quite well with your cabinetry. Three placement options are a microwave shelf in the upper cabinets or pantry (usually beside a fridge), a microwave shelf in a lower cabinet, or as a last resort; sitting on the countertop. 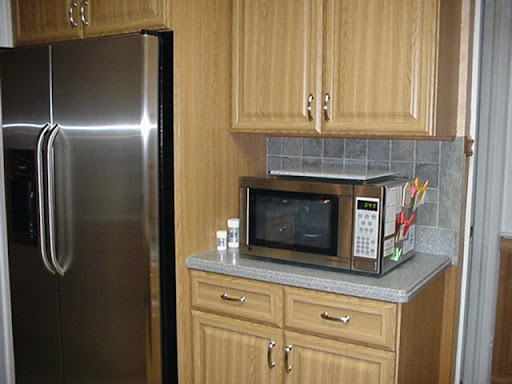 If you are locating the microwave in a pantry cabinet, try to find a model that is available with a trim kit, for a more built-in look. Microwave drawers are still a relatively new idea. 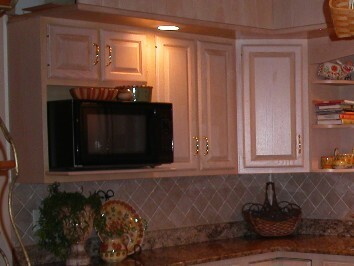 they function like a warming drawer, and can be built in to the cabinetry in a pantry or base cabinet.